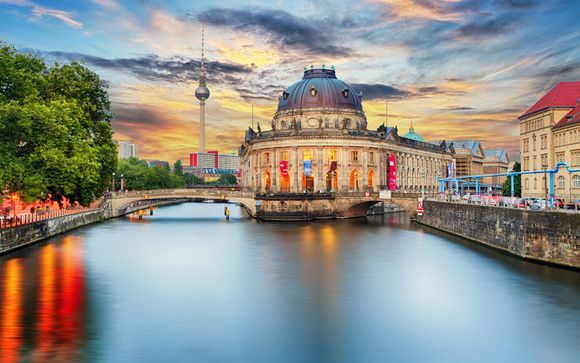 Our Berlin travel guide for unforgettable holidays up to -70% off To take advantage of these offers, join now for free! Discover the Best Information for unforgettable holidays to Berlin. Advices, tips, best locations, itineraries and more. Find the ultimate Berlin Travel Guide. Berlin is a city of extremes — where orthodoxies have been challenged for centuries, and the past loudly clashes with the present. It is the city of Weimar cabaret and Stasi surveillance; of hipster start-ups and opulent opera houses. Of Marlene Dietrich and Josef Goebbels. It’s been at the cutting-edge of innovation and sealed off from progress. There is no city with a comparable history. As a result of its unique backstory and vibrant atmosphere, there are few more interesting places to visit for a short break or longer stay. And if you don’t fancy Berlin’s unusual tourist trail, there’s always the food, the museums and the shopping. And don't forget the nightlife! Berlin has a more predictable and less rainy climate than the UK. The temperatures can get quite low during winter, and average at around just 2 or 3ºC. 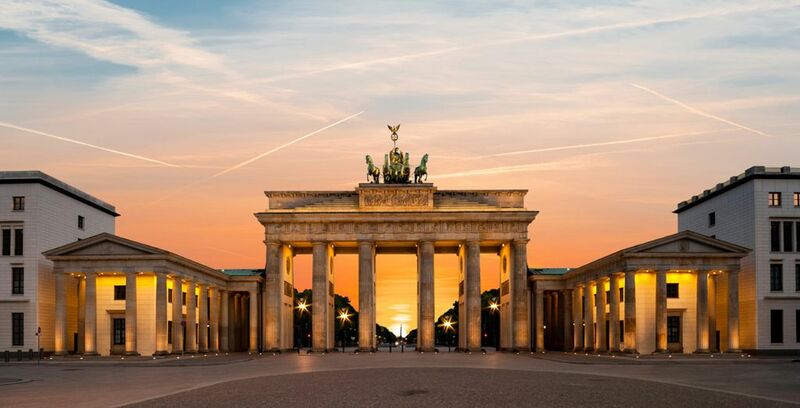 As Berlin is kitted out for exploration, walks and al-fresco eating and drinking, it is best enjoyed between the months of March and September, where temperatures can range from a cool 13ºC in early spring up to a high summer average of 24ºC. High season (i.e. July and August) is best avoided, as costs such as plane tickets and accommodation can rise. May and June therefore allow you to enjoy the pleasant weather at less expense than the so-called ‘open air season’, in which Berlin begins to head outside for the warmer months and celebrate with a packed cultural calendar. If you did wish to brave the cold winter months, there’s plenty to do — but make sure you wrap up tight! The best way to get to Berlin from the UK is by plane, which will take around two hours or so, giving or taking half an hour depending on the airport. Flights from Paris will take around 1h45m; Madrid flights 3h; and Rome flights will take 2h10m. Mainland Europe is well served by cross-country train services, but most trains from Western Europe will still clock up quite a few hours. Direct trains from Paris will take 10 hours, Amsterdam and Brussels around 6. Southern European locations such as Rome or Madrid will take considerably longer, and will require several changes. Warsaw and Prague will take 6 and 4 hours respectively. If you planned to drive to Berlin from the UK, then you’ll need to prepare for a road trip! The drive will be at least 12 hours. If you’re a EU citizen, then you’ll only need your passport to visit Berlin. Non-EU citizens can stay for up to 90 days are free to do so with only their passport, but any person(s) staying for longer than that will need a visa from the German consulate. 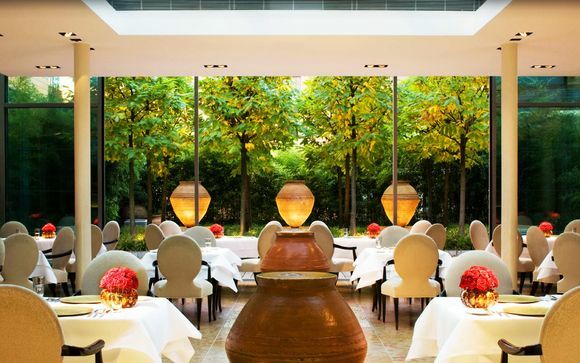 Hotel Palace Berlin: This hotel is part of the prestigious “Leading Hotels in the World” consortium, and offers a superb stay in a beautiful setting. 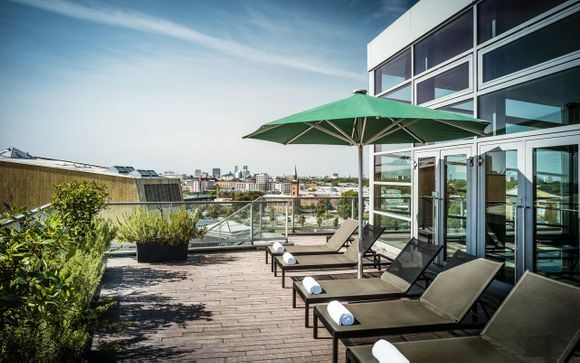 Situated close to the upmarket Ku’Damm area, as well as the Zoologischer Garten, it is the perfect place to unwind. 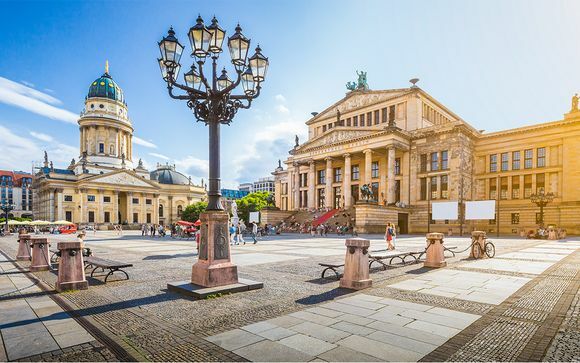 Hotel de Rome: Situated in an old bank building, the Hotel de Rome allows you superb access to the beautiful Unter den Linden and Museum Island areas. 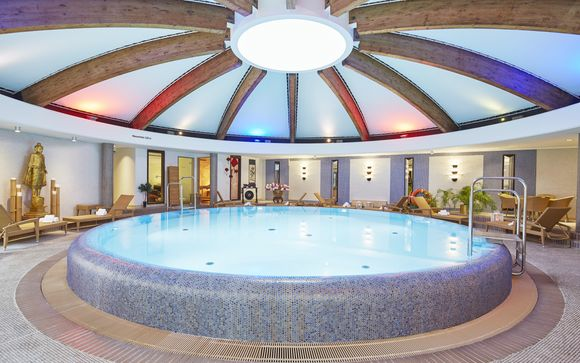 Come for the spa (in a former jewel vault), stay for the roof terrace. COSMO Hotel: If you’re looking for something a bit edgier, then look no further than the fantastic COSMO. Right in the heart of the buzzing Mitte district (formerly of East Berlin), you’ll be able to explore both sides of the city easily. Hotel Q! : Hotel Q! offers contemporary style and in a superb setting near the Zoo and Tiergarten. It’s a Trip Advisor Travellers’ Choice Award winner too. Berlin is a world centre of culture — and this ranges from traditionalist to the thoroughly avant-garde. 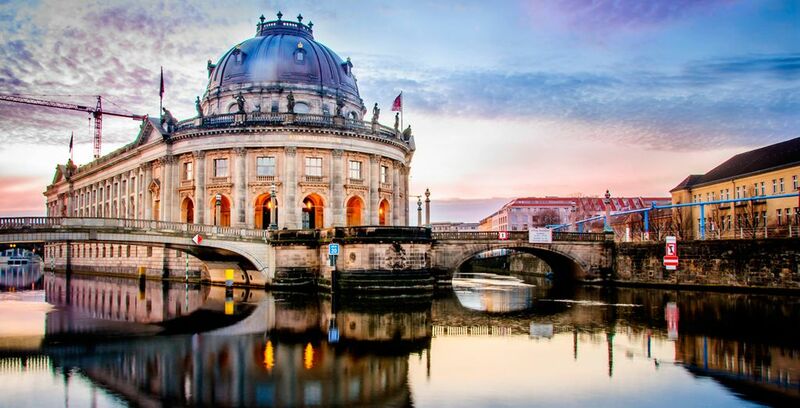 As both the capital of Germany and the de facto world capital of cool, it offers something for everyone. Though the cold can bite in the new year, Berlin is still worth a visit. Berlin Fashion Week, Berlin Short Film Festival and the prestigious Berlin Film Festival all take place during January and February. In March, you can celebrate the coming of spring with the jovial, carnivalesque Spring Festival — expect rides, food and fun near Tegel Airport. In May, ‘open air season’ takes place, kicking off with raucous May Day celebrations in Kreuzberg, and all day parties for Karnival de Kulturen. Summer kicks off with musical celebrations at Fete de La Musique in June, with free gigs all over the city. The Jewish Film Festival builds on the unique cultural offering of the Jewish Museum, and also takes place in July. Classical open-air concerts also take place at the Gendarmenmarkt, and an enchanting trip to the Botanical Night at the Botanical Garden is not to be missed. The autumn months will also have you spoilt for choice: try Oktoberfest, the German Day of Unity (1-3rd October) and Jazzfest Berlin from 1-4th November. From there, it’s all about the countdown to Christmas, and Berlin certainly excels on that front — the legendary Berliner Weinachtszeit Christmas markets are open from around 25th November. However, there’s no need to visit Berlin just for the events. Throughout the year, you’ll be spoilt for choice as to the museums, exhibitions and other cultural happenings that take place in the city. Firstly, subway, tram and bus tickets operate on something of an honour system. You can travel for weeks without having your tickets checked. But that doesn't mean you don't need one — conductors are often plain-clothed and don’t accept excuses for not having a valid pass. Recycling (particularly glass bottles) is often left on the streets by a recycling bin, rather than inside it. This is because homeless people are able to trade in the bottles for cash. Tipping is non-obligatory, and staff are paid a living wage. But that isn’t to say that tipping isn’t perfectly A-OK if you’ve enjoyed your meal. It’s important to see both sides of Berlin, as visiting East and West only serves to make the other more remarkable. But don’t bite off more than you can chew: some areas of East Berlin can be quite edgy, so don’t visit on weekends or late at night if you’re not sure what to expect. You will, however, find plenty to see and do in the daytime in such areas, for the whole family. West Berlin is beautiful but far more expensive, so don’t expect the cheap-and-cheerful side of Berlin in the more salubrious areas such as K’Damm. A few choice bottles of beer never go amiss (beer is both plentiful and cheap in the city), as is a memento of Berlin sights such as Checkpoint Charlie or the iconic green men at crossing points in the eastern section. Perhaps best of all, pick up a book or a trinket from one of the many fleamarkets (Mauerpark is a classic). Berlin’s sole currency is the Euro. Berlin lies in the CET timezone – UTC +1 hour, which is 1 hour ahead of London time. What language is spoken in Berlin? Aside from German, Engish is the most commonly spoken language, followed by Turkish, Arabic and Russian. 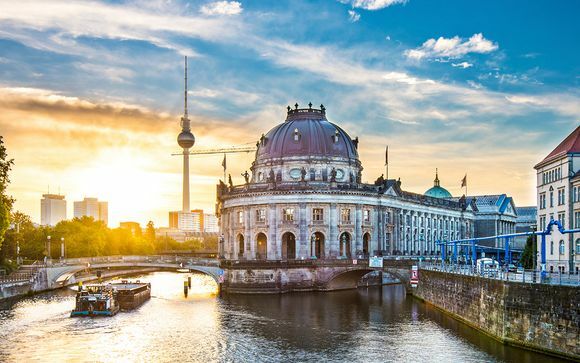 Berlin could be explored for weeks if you had the time — the wealth of creativity in the city means that there are surprises around every corner, with galleries, cafes, markets and museums popping up seemingly out of nowhere. The cost of living is also cheap, so it makes for an excellent longer break. 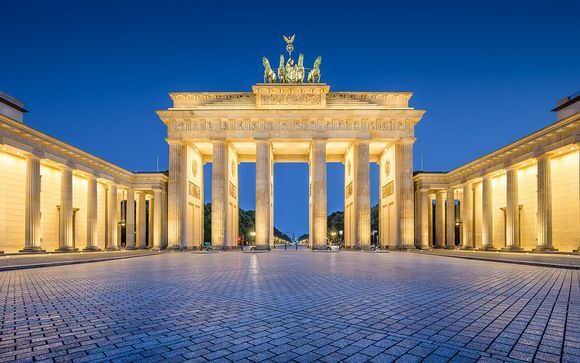 Berlin is an attractive prospect for street food vendors and upmarket restaurateurs the world over due to cheap rents and open-minded citizens. The food offering is diverse and exceptional, and you can find dishes from across the world rubbing shoulders with fine-dining innovations and hearty German fare on the same street. More traditional Berlin dishes include currywurst (sausage with ketchup and curry powder), schnitzel and pretzels — all fantastic accompaniments to a Berliner Pilsner or Helles lager. The street food classic is the doner kebap: Berlin is the birthplace of the doner, and these are delicious. Don’t let the UK version put you off. The falafel is equally excellent if you’re vegetarian. Berlin offers something for everyone, and the Zoo (especially the aquarium) is especially brilliant. The Science Center Spectrum is also very engaging. Visiting for the Spring Festival is an excellent choice. The cost of living in Berlin is cheaper than most European cities. 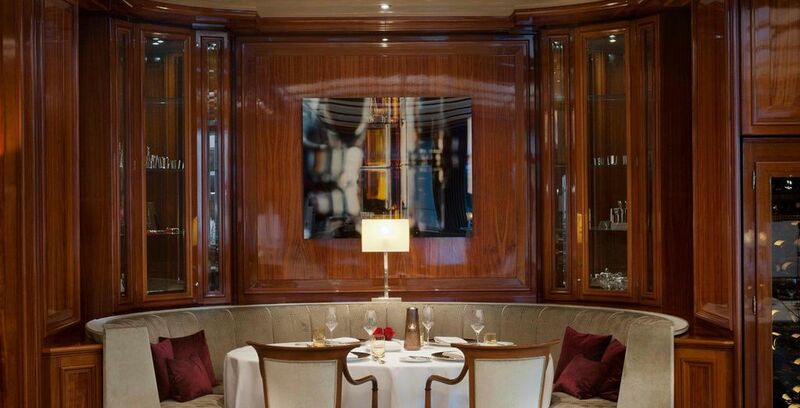 A meal for two, with drinks, should cost around €40 on average. Travel costs are reasonable, at around a €7 day ticket. Not many museums and galleries are free, but they can be on certain days — so plan ahead. Getting off the tourist track, picnicking and buying street food will save you money. Berlin also has a range of beautiful parks and gardens in which to do this. Discover more travel guides here.